Another week another netbook – only this one doesn’t look like a re-badged version of the one that came out the week before the other one that looked remotely similar. 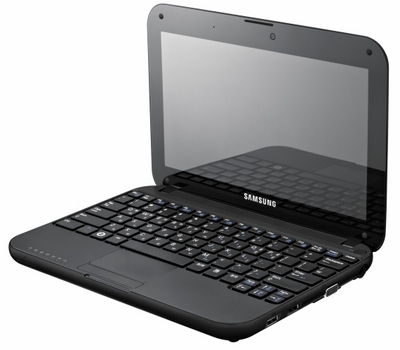 Samsung is leading the way for netbook change. Most noticeably from the N310 is its curvaceous design, for which Samsung used award winning Japanese designer Naoto Fukasawa. 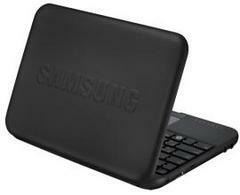 Opening it up will reveal its frameless 10-inch screen screen to add to its aesthetically pleasing design and pebble design keyboard, which Samsung claims is 93 percent of the size of a desktop keyboard for easy typing. Weighing 2.6 pounds, the N310 packs a four cell battery for up to five hours of running time, before you need to make a mad dash to the mains. Its LED display and Intel Atom processor also means there are power saving options to take advantage of. It’s a Windows XP netbook , with 1GB of RAM, a 160GB hard drive, 1.3 megapixel camera and a three-in-one memory card reader. It’s got you covered in the connectivity department too by slapping three USB ports around the edges. It will be available in May for a price unknown as yet. We’ll be sure to keep you in the loop.